Mentoring in most therapeutic domains is considered essential for competency. Novice facilitators require mentorship for issues that arise during the group process, for help around being a facilitator, and for advice in dealing with some common challenges. More experienced facilitators benefit from mentorship to deepen their skills, enhance inquiry, and increase competency as per mindfulness facilitator assessment criteria. By entering into an agreement with a mentor approved by the Centre for Mindfulness Studies, students (“mentees”) will have the opportunity to discuss personal and professional issues that come up during program delivery. 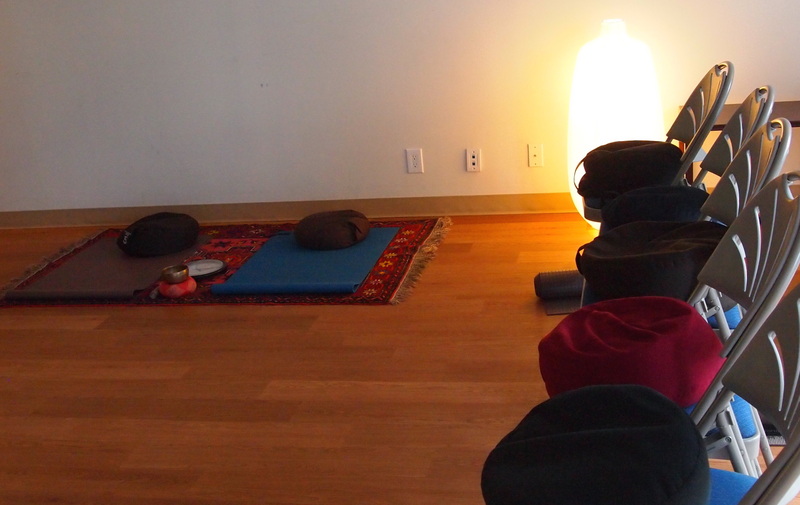 The Centre for Mindfulness Studies does not have the capacity to work with students (“mentees”) directly. Students are asked to follow the Mentorship Process and refer questions to an approved mentor. Please note that the following are intended as general guidelines for the breakdown of mentorship hours. The actual number of hours and how they are used will be determined by the mentor. Joint mentorship may be available for two mentees co-facilitating an MBCT or MBSR program together. The mentorship meetings will be shared by the two mentees and will typically take 1.5 hours (instead of 1 hour). The mentor rate will be shared for these meetings and then the audio review and feedback will be paid for separately by each mentee. Over the course of one 8-week group, the typical breakdown would therefore be 13.5 hours (9 x 1.5 hours) shared equally and then around 3.5 hours of audio review per mentee. As with all mentorship modules, the number of hours is to be negotiated and agreed upon as part of the mentorship agreement. The MBCT Facilitation Certificate requires the completion of at least 12 hours* of mentorship with an approved MBCT mentor. To enrol in MBCT Mentorship, students must have completed the 5-day MBCT Intensive Training & Retreat as well as the MBCT Practicum. The MBSR Facilitation Certificate program requires the completion of at least 22 hours* of mentorship with an approved MBSR mentor. To enrol in MBSR Mentorship, students must have completed the 6-day MBSR Intensive Training & Retreat. Advanced Facilitation Certification requires the completion of at least 22 hours* of advanced mentorship with an approved mentor. * While the minimum number of mentorship hours are stipulated for each mentorship module, the actual number of hours will be based upon the mentorship agreement (and any subsequent revisions) determined between the mentor and the mentee. The student is responsible for finding an approved mentor who is available and agrees to mentor them. Approved mentors are listed on the Centre’s website along with their contact information. The mentor and student enter into a Mentorship Agreement and the mentor submits a copy of the signed agreement to the Centre. The student registers as a mentee with the Centre for Mindfulness Studies. There is a $200 registration fee which covers administrative costs, tracking of mentees, and the certificate of completion for the mentorship module. In discussion with their mentor, the student finds an existing group to co-facilitate or sets one up themselves. Upon completion of the mentorship module, the mentor provides the Centre with a notice of completion. The Centre then provides the student with a Certificate of Completion for the mentorship module. This certificate, along with those received from other completed training modules, acts as the student’s record of completing the required Facilitation Certificate trainings. For the purposes of mentorship, the mentee should be facilitating or co-facilitating their own groups in the community. The mentee needs to find an existing program to teach in, or set up their own. Mentorship agreement discussions usually take place before or during the group formation process. Mentorship sessions then synchronously follow the eight-week program. Sometimes the mentee needs advice on setting up a group – this would likely require additional mentorship hours. Mentorship usually takes place at a distance using a video platform like Skype or Zoom, or occasionally face to face. For mentorship, students will be required to make audio or audio/visual recordings of the program sessions for review by the mentor. It is imperative that you gain consent from all group participants for this recording. The Centre for Mindfulness Studies has a Consent to Record form that can be used as a reference for developing your own consent form. The Centre charges an administration fee of $200 payable upon registration. The student makes payments for the mentor’s time directly to the mentor. Mentors generally charge between $130 and $180 per hour.